Dinner just got easier! 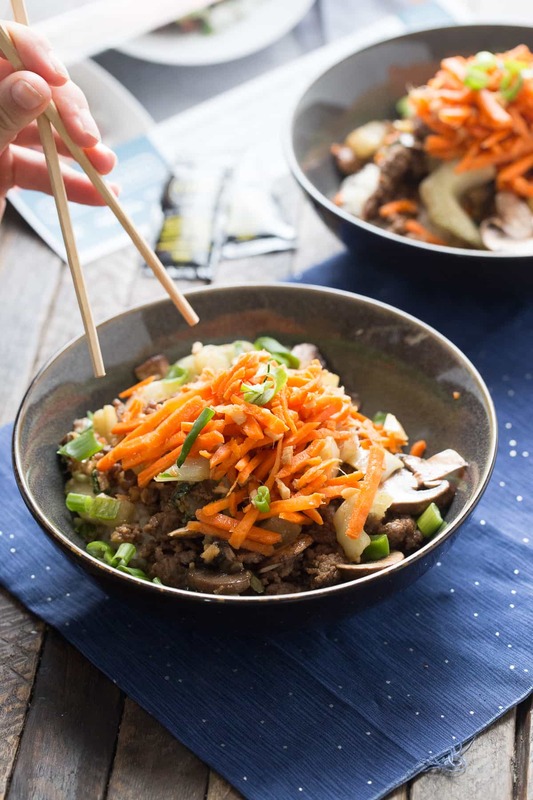 A Japanese-inspired beef bowl with bok choy, mushrooms, and carrots. This ready to make recipe tastes amazing and only takes 20 minutes! You have to love meals that simplify your life! I’ve noticed that my husband and I don’t date anymore. There’s nothing wrong, no big scandal or sad story. We are just the parents of three busy kids. I suspect you all can relate. I know my husband and I should carve out more time to reconnect, but sometimes it’s just too much work. I keep thinking that one day things will slow down. I mean we cannot sustain this chaos forever. Maybe when my oldest drives, things will get simpler. Yeah right. Teenagers or worse, teen drivers bring their own sets of issues. I get frustrated because we cannot do it all. We cannot keep up with the demands of our kids and their schedules, have social lives both as couples and as individuals, spend time as a family and find time to spend as a couple. Life as an adult is hard. This month I’ve decided that my priority is finding a way to work on date night. We found an evening where the kids were off with friends and enjoyed a meal, ALONE. I recently discovered Prep and Pared meal kits (sold exclusively at select Kroger stores) which was perfect for this occasion. 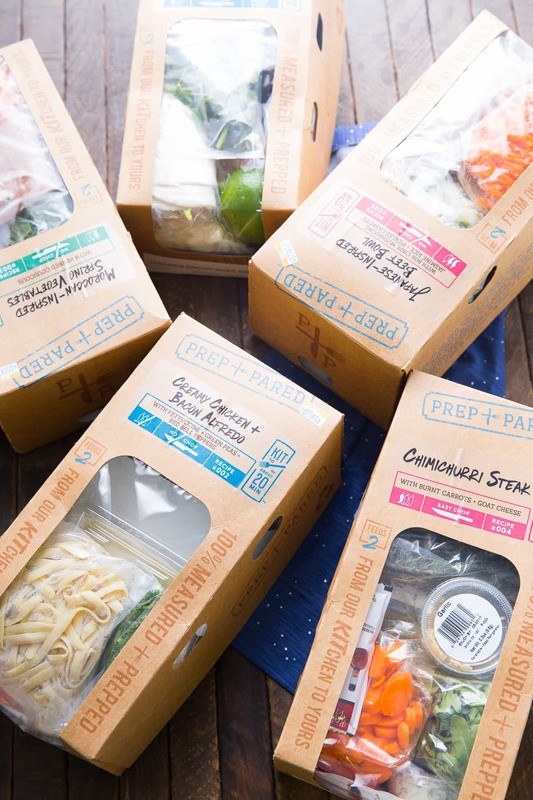 Each kit offers fresh ingredients that are 100% measured and prepped. This means that from kit to fork, cooking only takes 20 minutes. I can spend less time prepping and cooking and more time catching up and connecting. 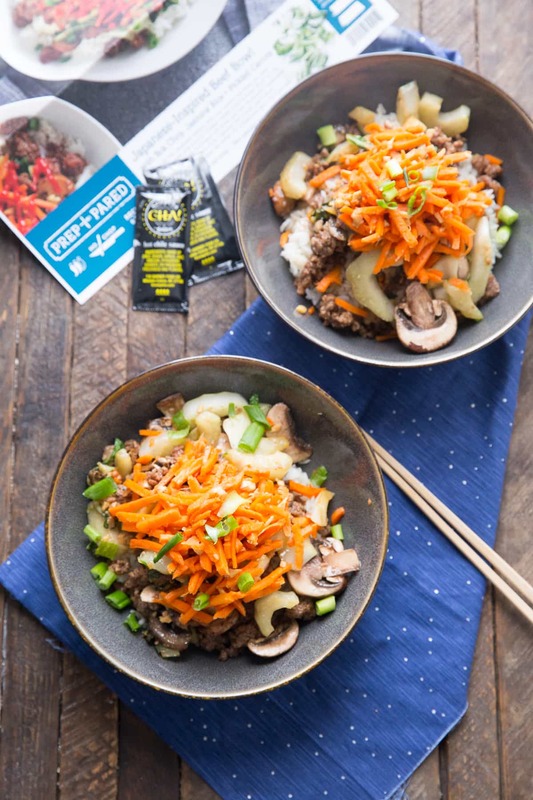 The first kit my husband and I sampled was the Japanese inspired Beef Bowl with Bok Choy and vegetables. I loved that everything was neatly packaged in my box, the vegetables were crisp and fresh and the instructions were simple and clear. 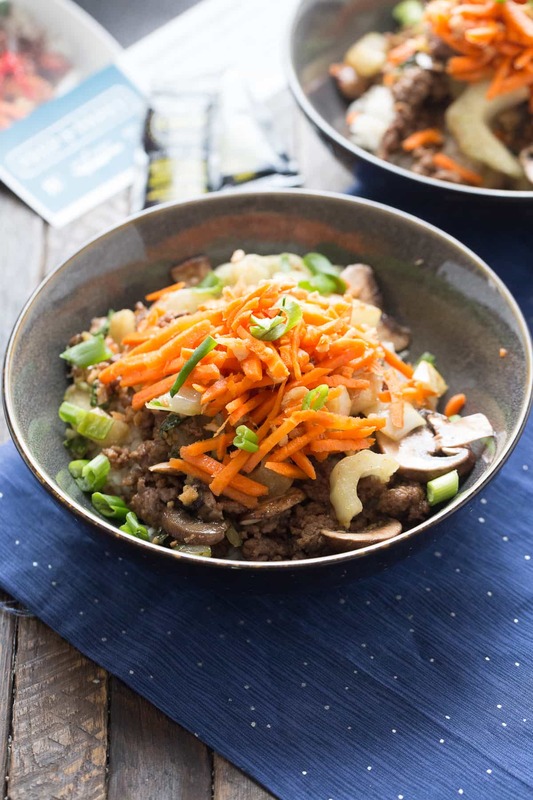 The beef bowl truly only took minutes to prepare and tasted so good! This meal was as good as anything I could make from scratch or get from a restaurant. The only difference is the ease and convenience. I will definitely keep meal kits just in case my husband and I should find ourselves able to sneak in another “date night”. I’ll make us a Cherry Sour Cocktail and maybe even a Lemon Crumb Cake and let Kroger do the rest. There is no recipe here today, if you like what you see, pick up a box today! This is a sponsored conversation written by me on behalf of Prep & Pared. The opinions and text are all mine.